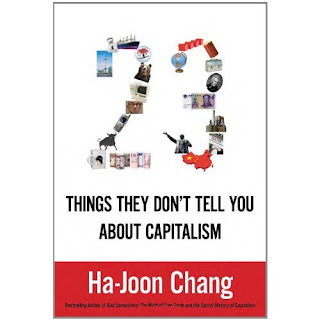 Samir Amin recently wrote a review (that appears here, and originally here) of The Economics Anti-Textbook and Ha-Joon Chang's 23 Things They Don't Tell You About Capitalism, a book that I'm just starting to read now. 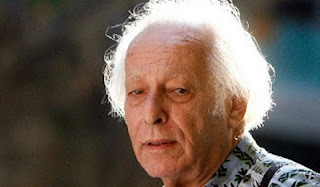 It was certainly nice to read Amin's first sentence: "Every honest economics teacher absolutely must make the book written by Rod Hill and Tony Myatt ... compulsory reading for their students, fed almost exclusively on the conventional textbooks that are prescribed reading." Amin's essay contains many of his own observations about how both books could have gone further, and is well worth reading. 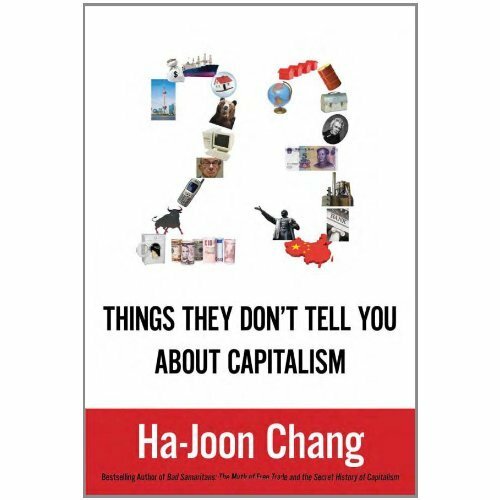 For an introduction to Ha-Joon Chang's book, you can listen to him giving a talk about the book's themes here. for me, Chang is repeating what many economists and social scientists (the ones yet to be bought off) have been saying for a long time, yet he acts like he is revealing something new. he is not. however, due to the respect he carries and his position within the establishment, I think he will find it easier to find an audience than those economists in the wilderness who voice similar concerns. a good book and recommend it highly.